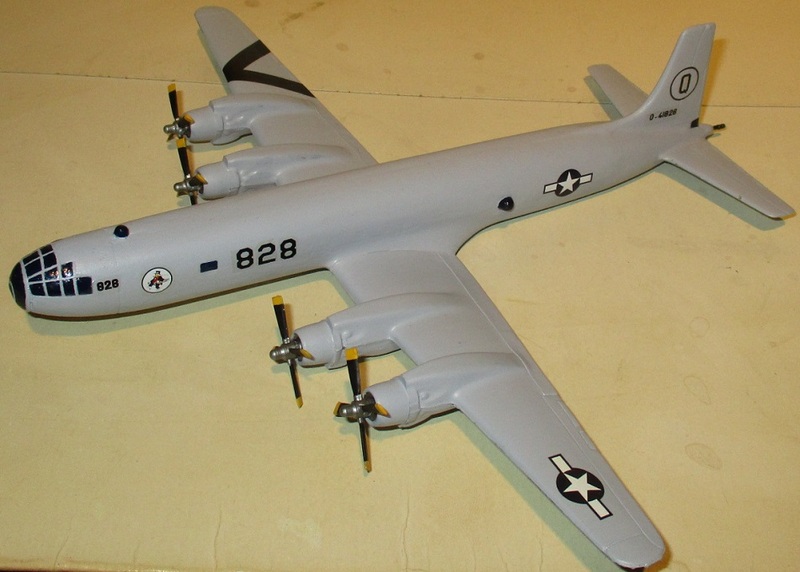 By 1946, the U.S. Army Air Forces' long-range bomber program was in bad shape. 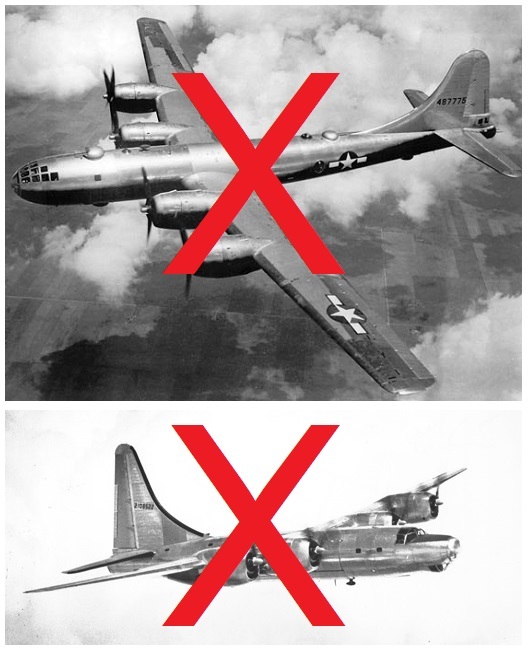 The B-29 was cancelled due to engine fires and the replacement B-32 was axed because of wing spar failures. It became apparent that the backup needed a backup. 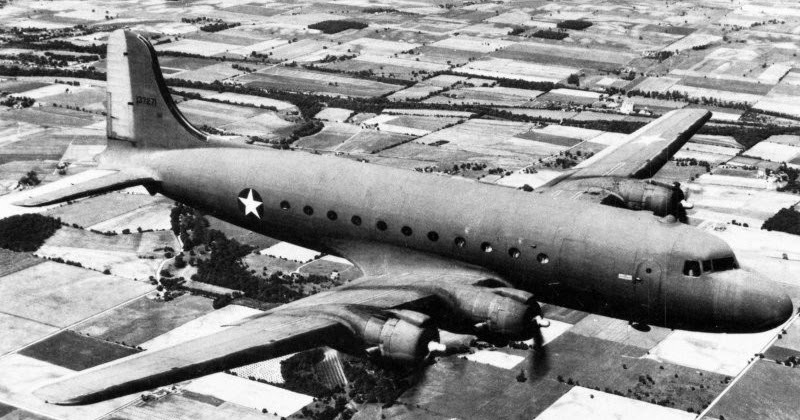 Fortunately, Douglas Aircraft was able to come to the rescue. 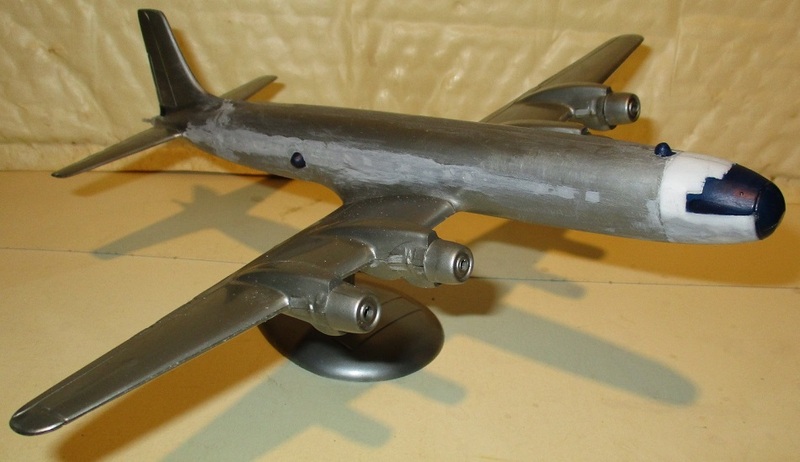 The starting point was their famous C-54 Skymaster. 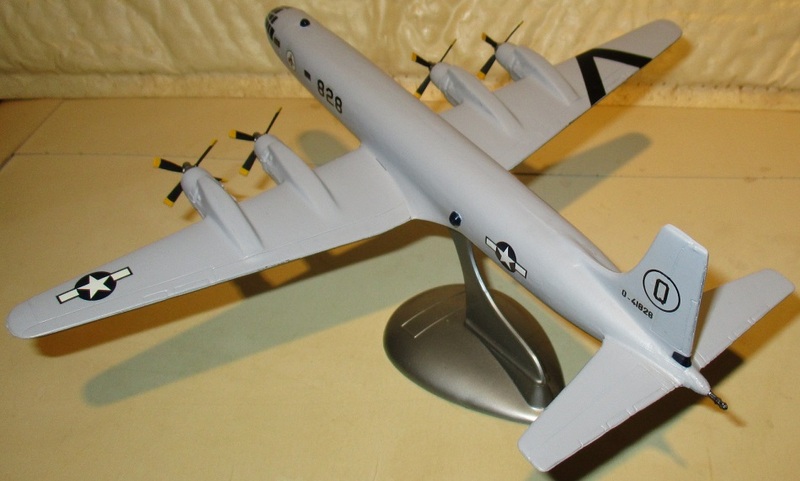 Douglas tweaked the design into a bomber configuration by using the now-defunct B-29's gun turrets and nose. 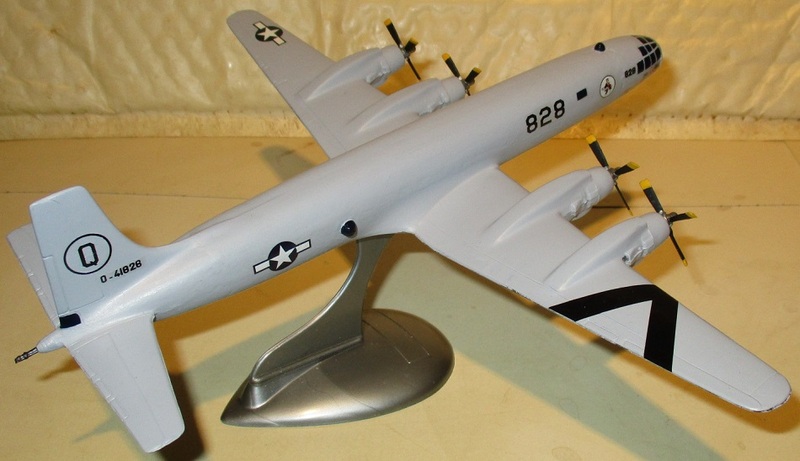 With the addition of a multi-barrel cannon in the rear, known as the Sioux City tail from the location of the contractor, the new B-31 certainly looked every bit capable of taking long-range bombing across the Pacific to the enemy. Long-range bombing wasn't the only problem for the Americans. 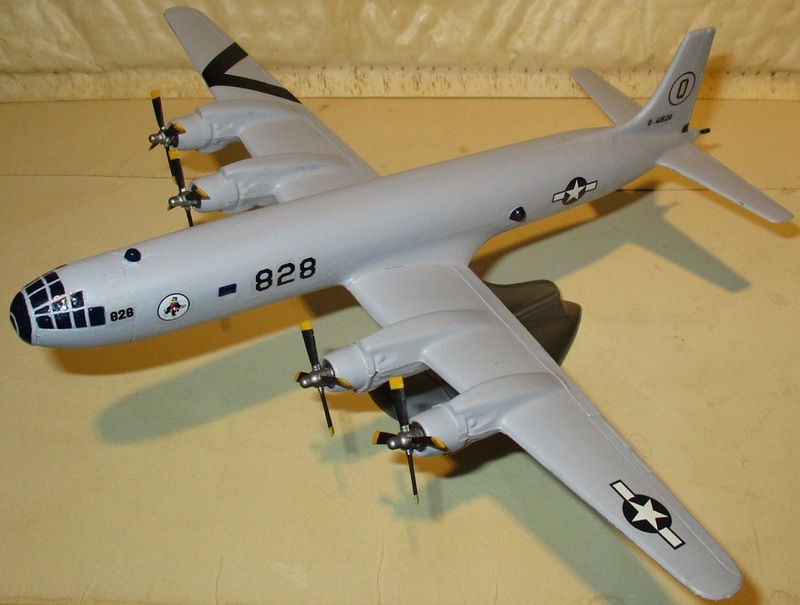 Even though the new bomber, christened the Detonator, could carry bombs to the heart of the enemy, the most powerful bombs yet devised proved to be duds. The A bomb was a fizzle. 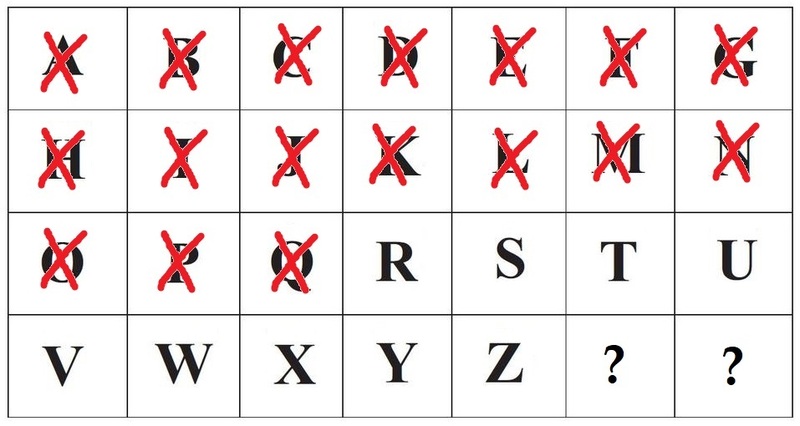 B through P were no better and a sense of desperation was starting to set in. All hopes were pinned on the Q bomb. 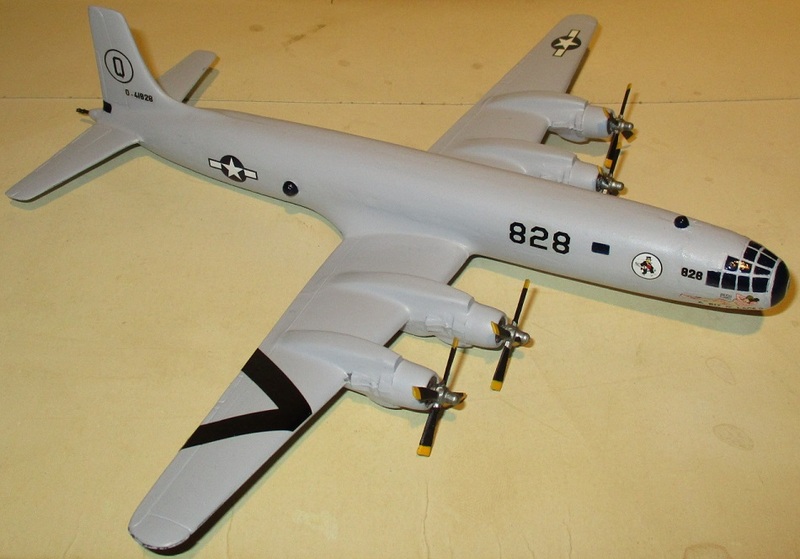 Early in the morning on August 26th, 1946 a B-31 Detonator "A Bit O' Lace 2" from the 11th Bombardment Sqn., 2039th Composite Wing, took to the skies, headed for Japan. 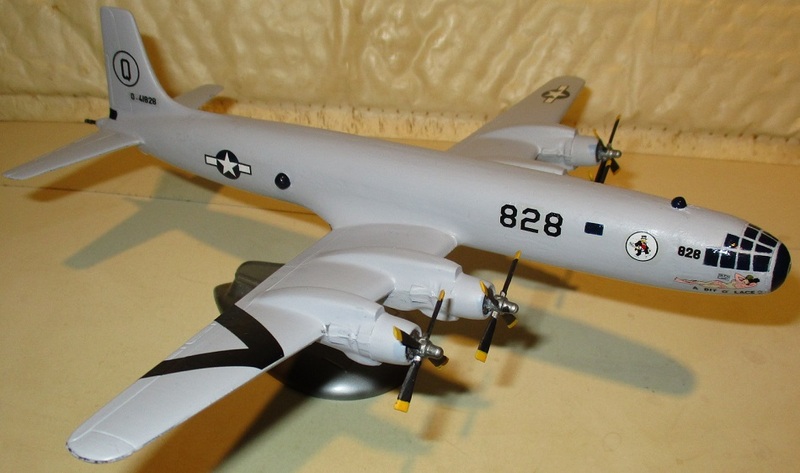 The aircraft, stripped of all guns save the one in the tail and with its bomb bay modified for the new weapon in what was known as Project Tinplate, flew low over the Pacific as it approached the enemy's home islands. 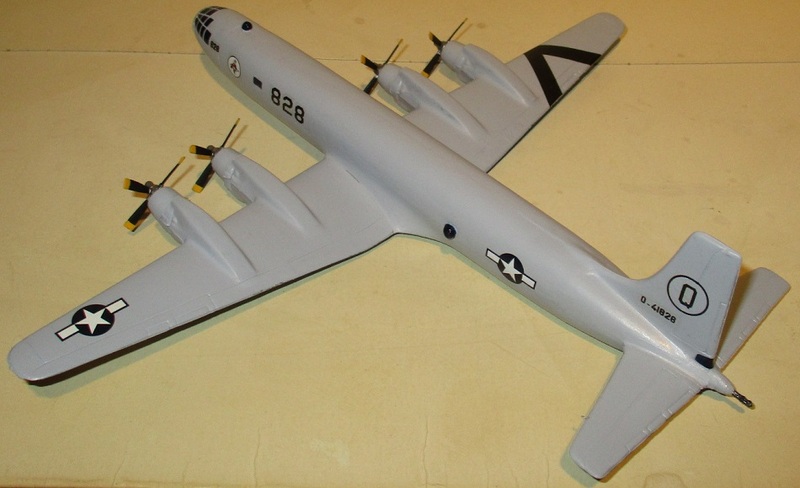 The B-31 Detonator gained altitude and leveled off at 33,000 feet. After seemingly endless hours aloft, it appeared over Kyoto just as the city was starting its day. Scarcely anyone on the ground paid the lone aircraft notice as it reached the initial point and started its bomb run. Unfortunately for the Americans, the results were not as expected. "A Bit O' Lace 2" headed back home by the quickest route possible as the crew tried to figure out what went wrong. 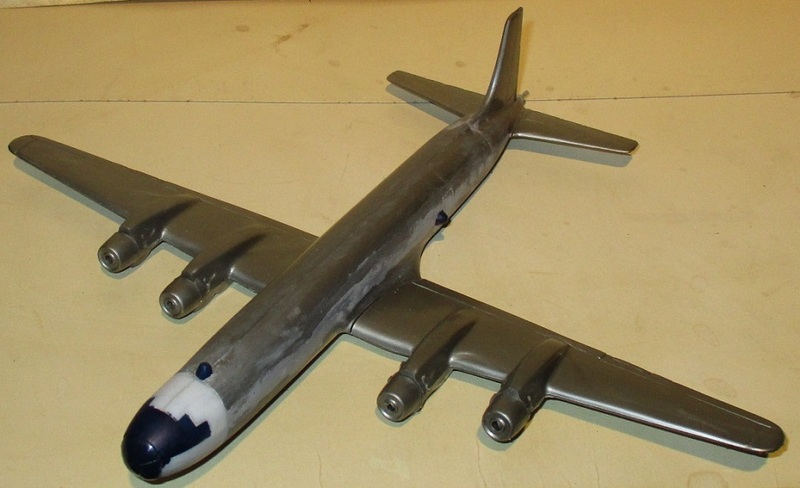 While the U.S. Army Air Forces and Douglas Aircraft could take pride in the B-31 Detonator's flawless performance that day, it was back to the drawing board for the payload. After this, the Americans would have to do something. They were running out of letters. The war in the Pacific would grind on until 1948 when the Japanese were forced to sue for peace, unable to withstand the unrelenting onslaught of Bebop. 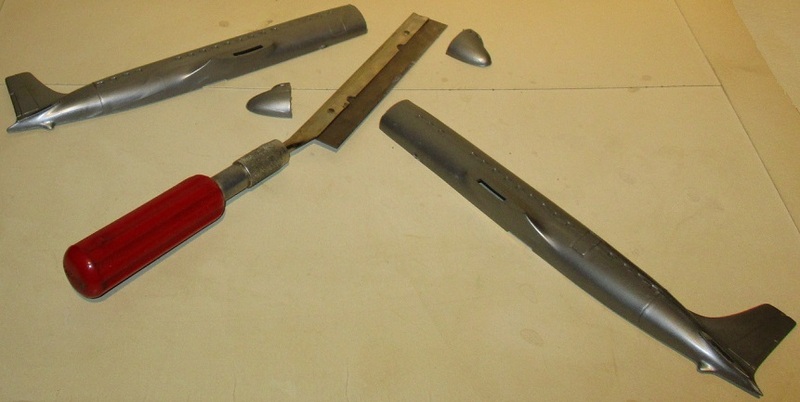 While the B-31 Detonator was soon replaced by the far more capable B-35, it still carved out a niche in history even if that's totally forgotten today. This all began with a lovely vintage 1/150th (?) 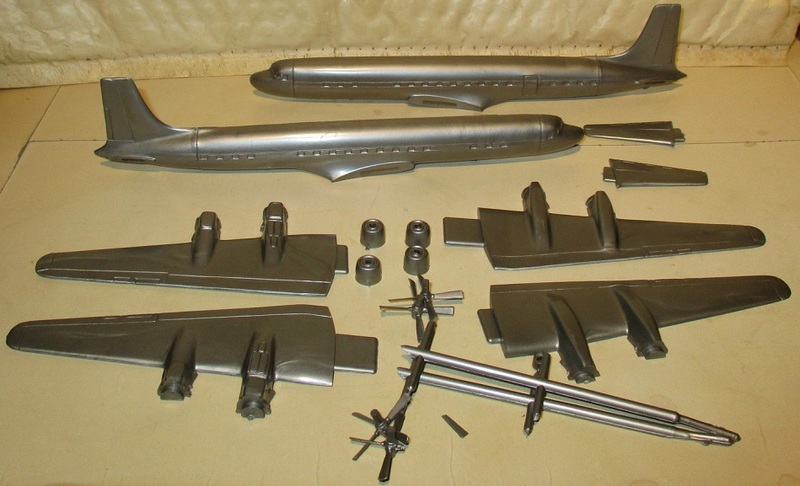 scale International Models Douglas DC-7C kit Robert sent me all the way from the Great White North. While there's not much box art, you've got admit that's some stunning packaging. 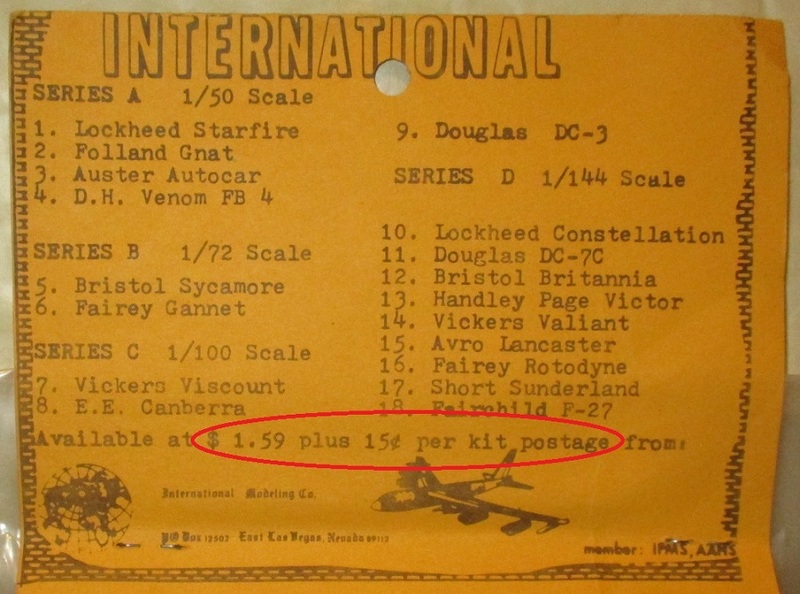 According to the postage quoted on the card, this kit was probably sold in the early 1970's. 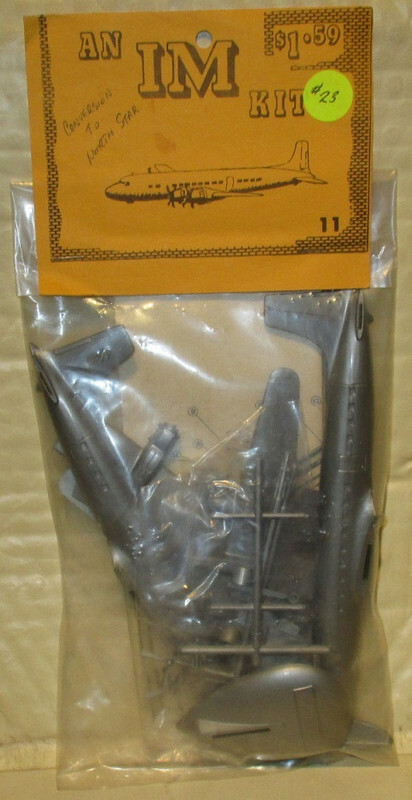 Still for a kit that old, it's pretty nice and what's amazing about the packaging is that after 40-odd years, the parts were still intact except for one prop blade that broke off. Incredible! The decals hadn't fared so well but I wasn't going to use them anyway. 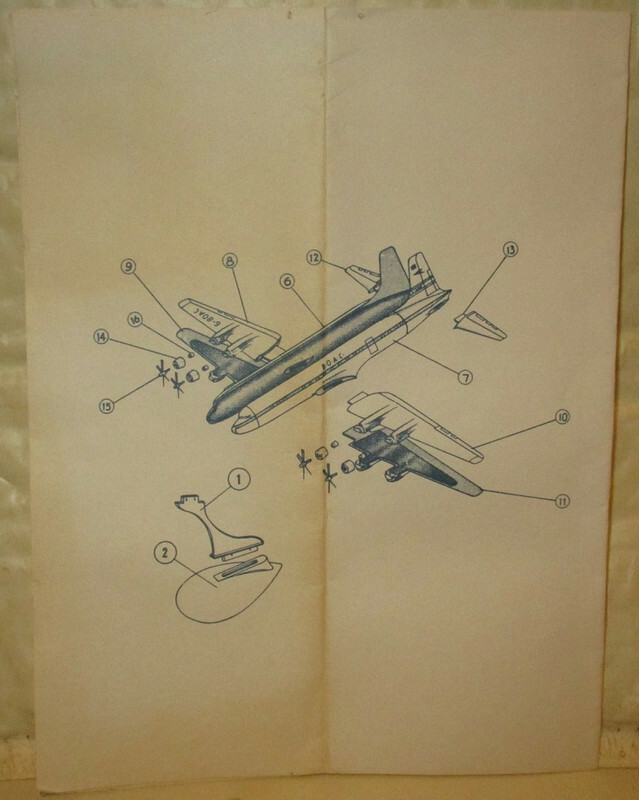 However, this kit has a fantastic exploded diagram drawn by a very talented draftsman. 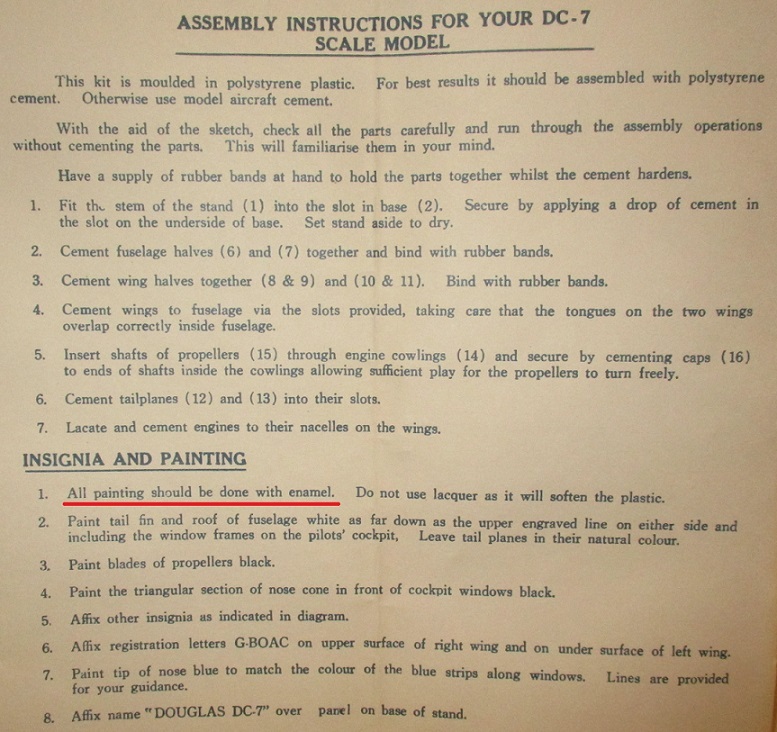 Then I made the mistake of actually reading the instructions. This is usually a bad idea. I've only got acrylic paint. I hope the powers-that-be at IM don't find out. 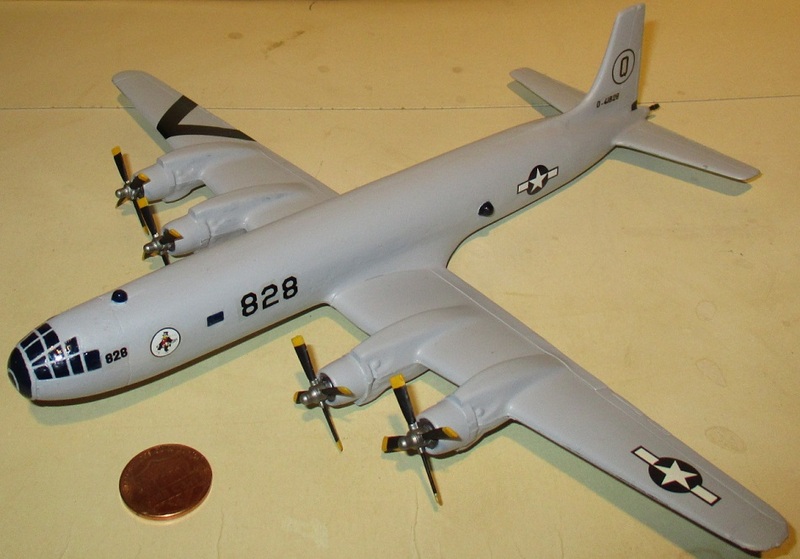 One thing I found out is that the nose of a 1/144 Minicraft B-29 seemed like it would make a good fit. This meant some surgery was called for. 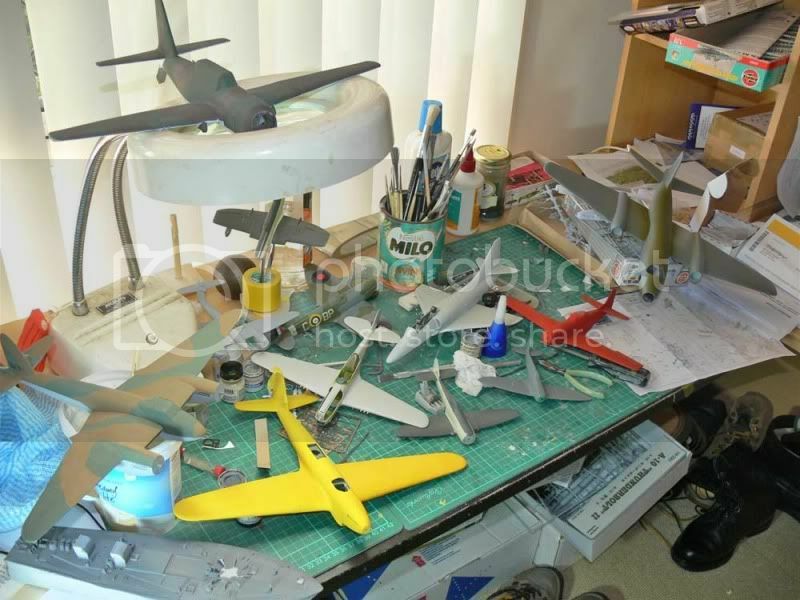 After the new nose was stuck on and faired into the fuselage, I had a some PSR to do. Left-over drop-tank tips and a nib of sprue were used for the blisters. The rest of the kit was built stock, including the stand. 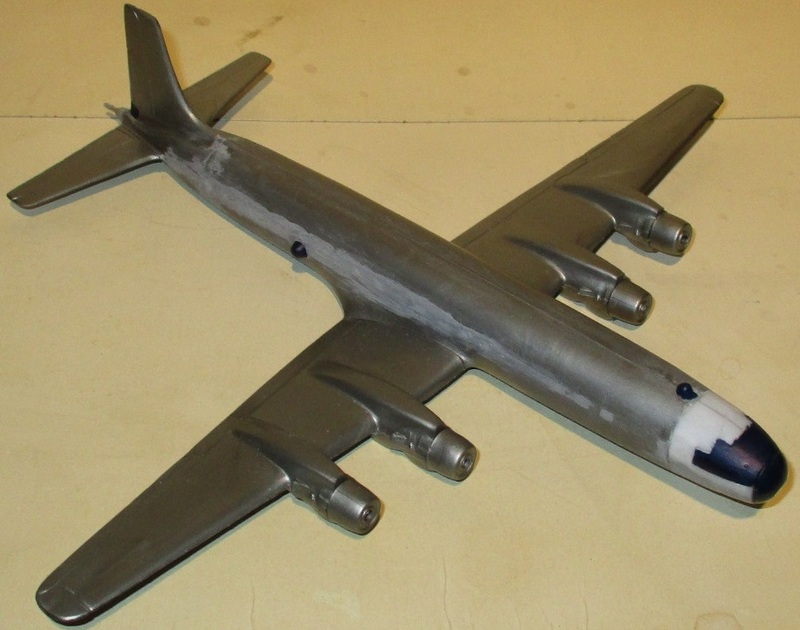 The only other modification was nipping off a bit in the back and adding the tail gun from a Revell B-52. After this, it was off to the paint shop. 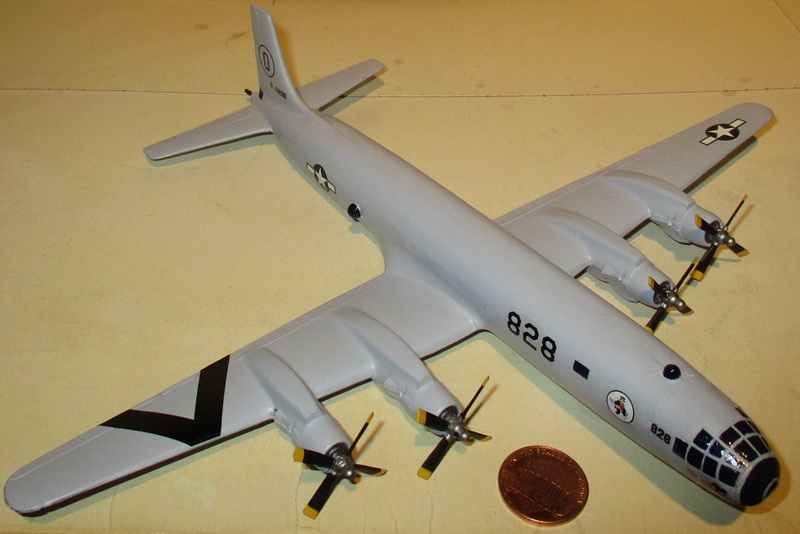 The old hairy stick was employed along with a fair amount of Model Masters Primer Gray acrylic. The clear parts and blisters were tinted with Model Masters Insignia Blue and given a shiny top coat of acrylic gloss medium. 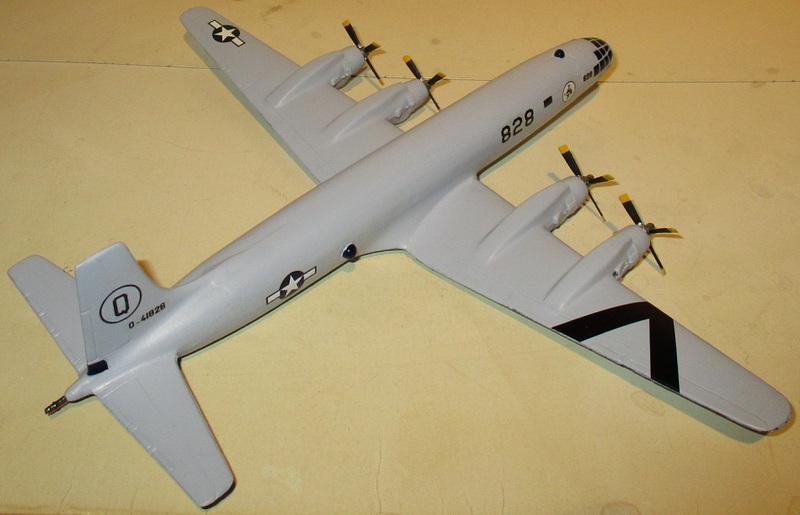 The props were done with Interior Black and Insignia Yellow. 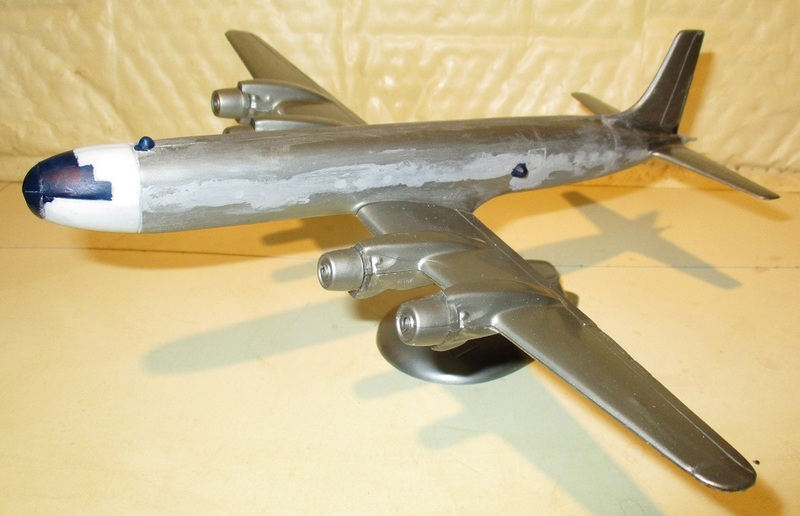 The engines were painted in some cheap craft-store metallic and the tail gun given a custom gunmetal mix. 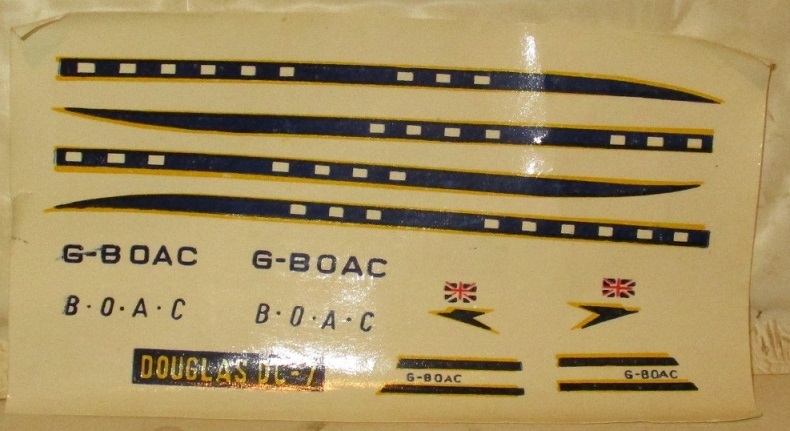 Decals were mostly from a sheet from a 1/144 Minicraft B-17 but the 11th Bombardment Sqn. 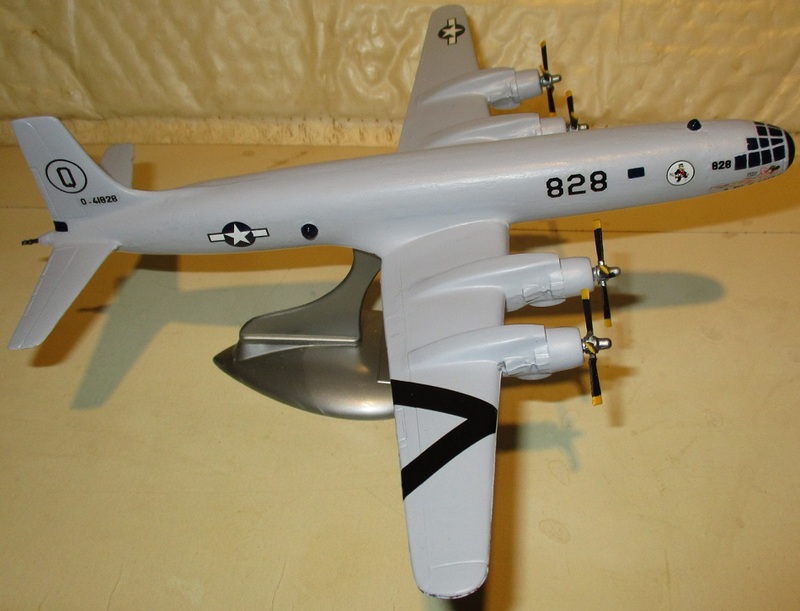 insignia came from a 1/72 Williams Bros. B-10. The codes are all from spares. The penny in these shots might give you an idea of the scale. It took me the past week to put this together and it was a blast, especially the painting and decalling. I'd like to thank Robert for parting with the kit, Mr Tomcat for bravely moderating this GB and those of you who are playing along or just stopped to look. I hope you enjoyed the Douglas B-31 Detonator and reading a little more forgotten aircraft history that's been left out of the books. 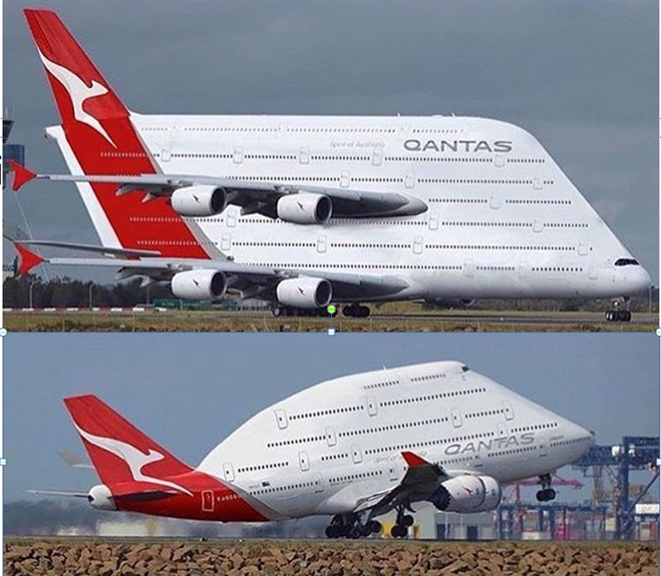 Fine nose to fuselage match up. Apparently was meant to be. 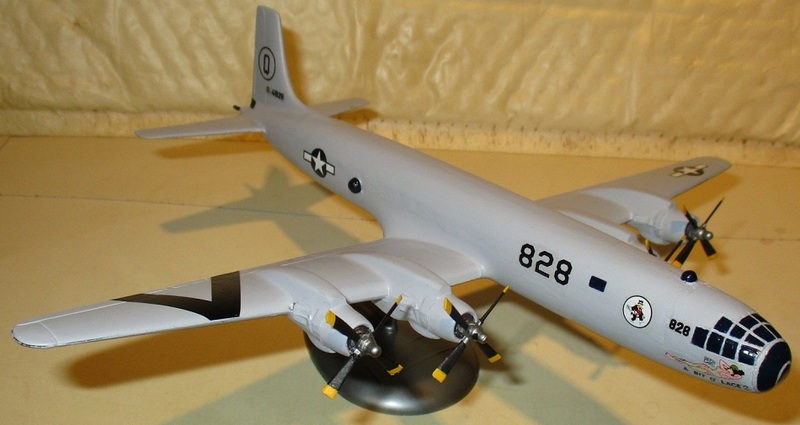 Looks faster than B-29. Great PSR and build. Unlikely BTS will turn you in to IM powers for using non-enamel paint. Would you buy a used kit from this man? I went down the same pathway as Tophe, it wasn't until I read the build threads that things fell into place, very nice build. Wouldn't worry about IM's feelings I don't think acrylic model paint had been invented when that come out. 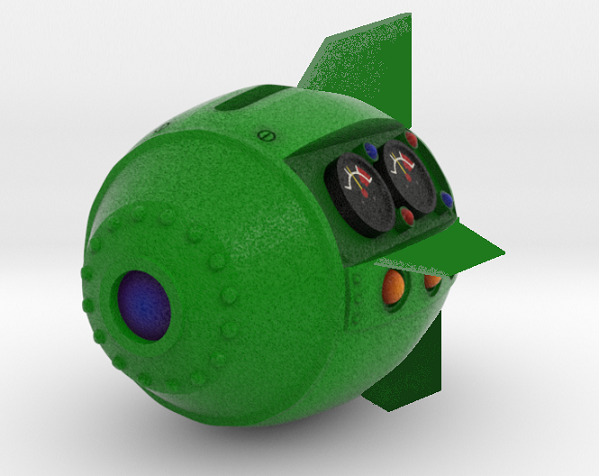 I am so blown up by your B-31 build Q-bomb not withstanding. It has become quite clear that you can take any two random kits and turn them around into something awesome. Elvis would be proud of you. This all began with a lovely vintage 1/150th (?) 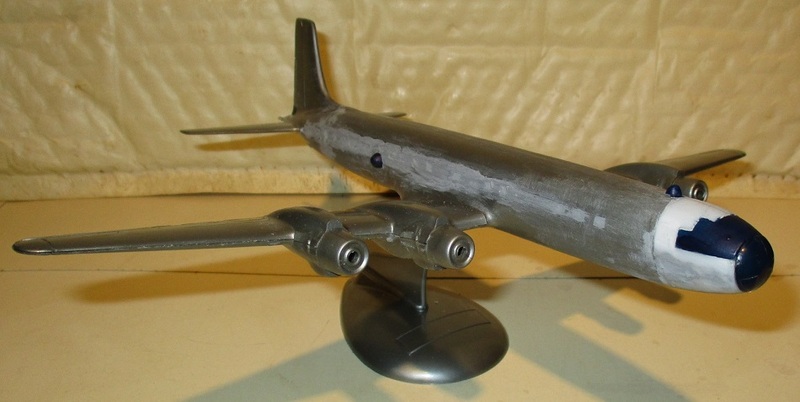 scale International Models Douglas DC-7C kit Robert sent me all the way from the Great White North. Lovely kit indeed. Perfect concept too. 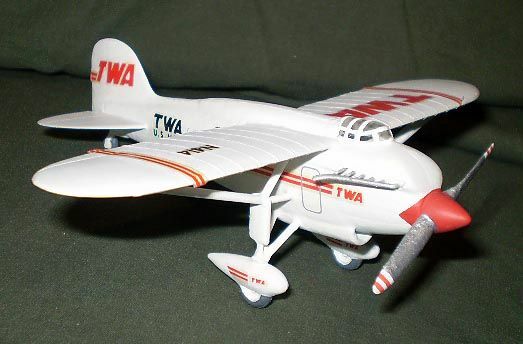 In my entire life I've never seen anyone take such a horrific piece of styrene abomination like that DC-7 and make anything this amazing from it! I have met my Muse and she is made of styrene. A big 'thank you' to whoever it was that invented the OptiVisor!